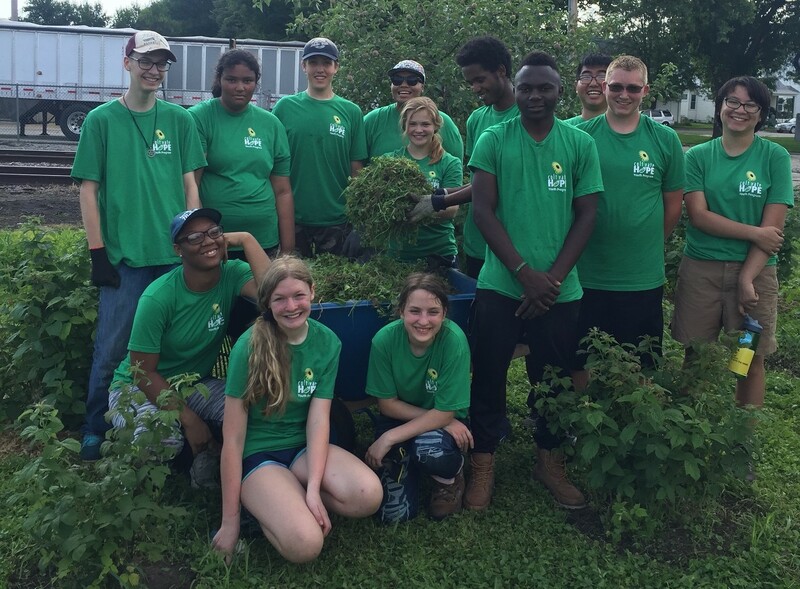 Spend your summer working on an urban farm, volunteering in the community, and developing job skills. Apply for our Cultivate Hope Youth Development Program. The program is open to students 14 to 17 years old. Connect with the land and grow organic produce while working on the Cultivate Hope Urban Farm (437 G Ave NW). Enjoy spending time outdoors while being active in the garden. Spend one day each week at a hunger-relief organization. You’ll prepare or distribute food, depending on the organization’s needs. If you have questions, email Laura Greig or call 319-362-2214, Ext. 115.